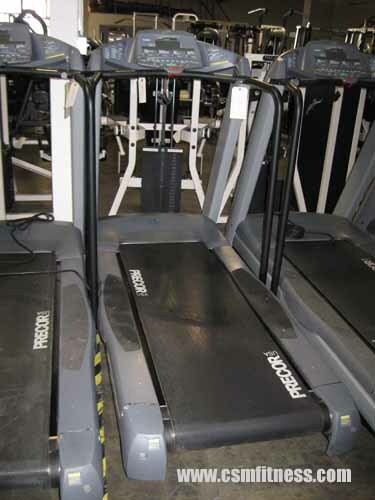 The Precor C966i is one of Precor’s leading treadmills; it is one of the most desired pieces of cardio equipment among runners of all experience levels. While it can be found in many health clubs and corporate gyms’, it is also a great addition to any home gym or living room. Those who have the luxury of owning the Precor C966i are given the ability to control for speed, incline, and time. Additionally, the Precor C966i comes with a lavish display screen which illuminates distance traveled, speed, incline level, minutes per mile, watts, METs, calories, calories per minute, and heart rate. With these and so many other benefits the Precor is an excellent addition to any home gym or fitness club.